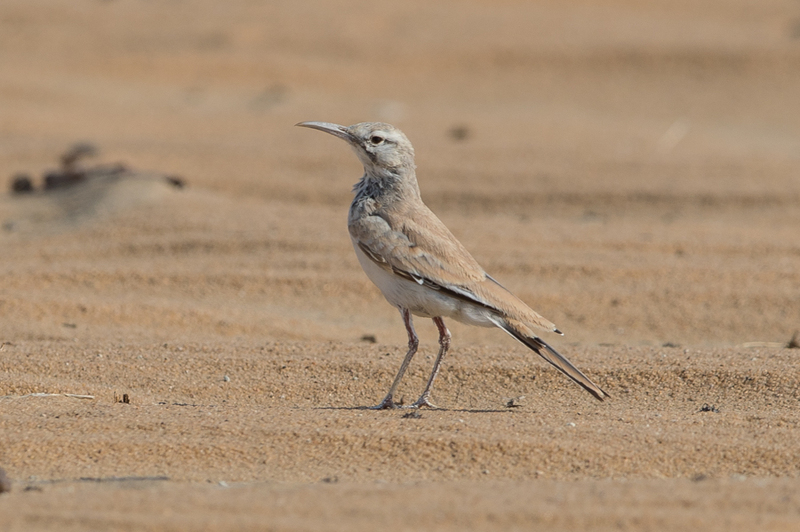 Whilst birding Ash Shargiyah Development Company Farm, Fadhili, in late August I came across a Greater Hoopoe-Lark. This is probably one of the best locations for seeing the species in the Eastern Province. The birds are almost always on the move so getting excellent photos of them is not so easy. Luckily this bird stood on top of a sand dune for a short while allowing some photos to be taken in good light. 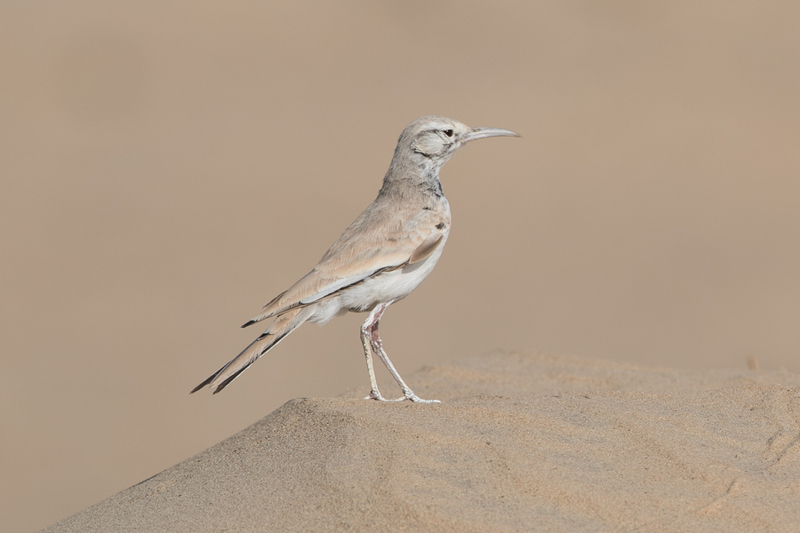 The Greater Hoopoe-Lark is a common breeding resident in all sandy desert areas of the Kingdom including the Empty Quarter, the desert regions of the Southern Red Sea and the Tihamah. They are uncommon in the North-west. 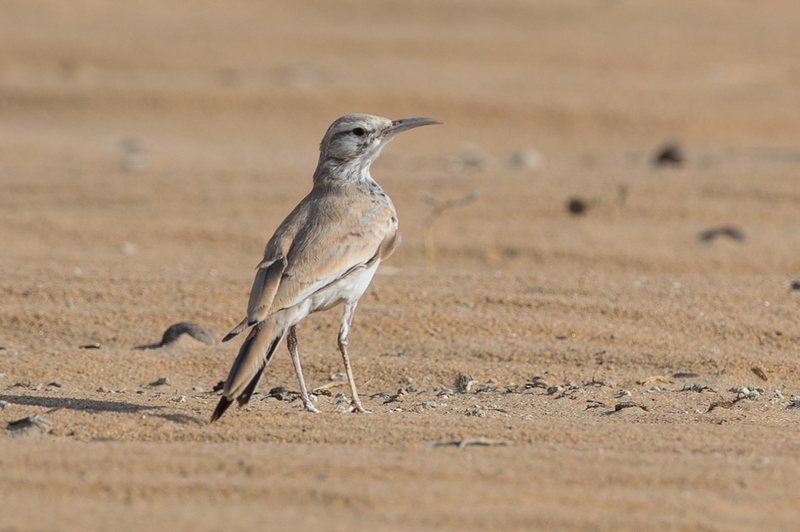 They are common in the Eastern Province but normally seen in small numbers except in winter when large gatherings can occur near pivot irrigation fields and surrounding desert areas.